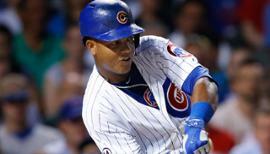 Draft: 2010, Chicago Cubs, 41st rd. 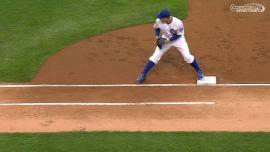 Ben Paulsen grounds out to first baseman Anthony Rizzo. Corey Dickerson to 2nd. December 24, 2018 Tomateros de Culiacan placed RHP Dallas Beeler on the reserve list. November 7, 2018 Tomateros de Culiacan placed RHP Dallas Beeler on the reserve list. November 7, 2018 Tomateros de Culiacan activated RHP Dallas Beeler. October 25, 2018 Tomateros de Culiacan activated RHP Dallas Beeler. October 9, 2018 RHP Dallas Beeler assigned to Tomateros de Culiacan. October 9, 2018 Tomateros de Culiacan placed RHP Dallas Beeler on the reserve list. July 23, 2018 Northwest Arkansas Naturals released RHP Dallas Beeler. 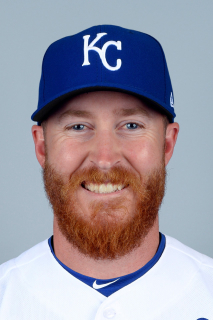 July 8, 2018 Kansas City Royals signed free agent RHP Dallas Beeler to a minor league contract. July 8, 2018 RHP Dallas Beeler assigned to Northwest Arkansas Naturals. February 25, 2017 RHP Dallas Beeler assigned to Chicago Cubs. November 7, 2016 Chicago Cubs sent RHP Dallas Beeler outright to Iowa Cubs. August 19, 2016 Chicago Cubs transferred RHP Dallas Beeler from the 15-day disabled list to the 60-day disabled list. Right shoulder inflammation. June 3, 2016 Chicago Cubs sent RHP Dallas Beeler on a rehab assignment to Iowa Cubs. October 22, 2015 Chicago Cubs activated RHP Dallas Beeler. October 5, 2015 Chicago Cubs recalled RHP Dallas Beeler from Iowa Cubs. October 5, 2015 RHP Dallas Beeler roster status changed by Iowa Cubs. September 6, 2015 Iowa Cubs placed RHP Dallas Beeler on the 7-day disabled list. July 29, 2015 Chicago Cubs optioned RHP Dallas Beeler to Iowa Cubs. July 28, 2015 Chicago Cubs recalled Dallas Beeler from Iowa Cubs. July 23, 2015 Chicago Cubs optioned RHP Dallas Beeler to Iowa Cubs. July 22, 2015 Chicago Cubs recalled Dallas Beeler from Iowa Cubs. July 8, 2015 Chicago Cubs optioned RHP Dallas Beeler to Iowa Cubs. July 7, 2015 Chicago Cubs recalled Dallas Beeler from Iowa Cubs. May 18, 2015 Chicago Cubs optioned RHP Dallas Beeler to Iowa Cubs. May 18, 2015 Chicago Cubs reassigned RHP Dallas Beeler to the minor leagues. April 25, 2015 Chicago Cubs sent RHP Dallas Beeler on a rehab assignment to Iowa Cubs. April 5, 2015 Chicago Cubs placed RHP Dallas Beeler on the 15-day disabled list retroactive to March 27, 2015. Right shoulder inflammation. September 29, 2014 Chicago Cubs recalled RHP Dallas Beeler from Iowa Cubs. July 10, 2014 Chicago Cubs optioned RHP Dallas Beeler to Iowa Cubs. 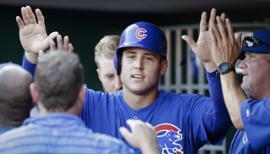 July 9, 2014 Chicago Cubs recalled Dallas Beeler from Iowa Cubs. June 29, 2014 Chicago Cubs optioned RHP Dallas Beeler to Iowa Cubs. June 28, 2014 Chicago Cubs recalled Dallas Beeler from Iowa Cubs. March 13, 2014 Chicago Cubs optioned RHP Dallas Beeler to Iowa Cubs. November 20, 2013 Chicago Cubs selected the contract of Dallas Beeler from Tennessee Smokies. September 11, 2013 Dallas Beeler roster status changed by Tennessee Smokies. May 23, 2013 Tennessee Smokies placed RHP Dallas Beeler on the 7-day disabled list retroactive to May 20, 2013. April 2, 2013 RHP Dallas Beeler assigned to Tennessee Smokies from Iowa Cubs. August 31, 2012 Dallas Beeler assigned to Iowa Cubs from Tennessee Smokies. April 3, 2012 Dallas Beeler assigned to Tennessee Smokies from Peoria Chiefs. August 22, 2011 Dallas Beeler assigned to Peoria Chiefs from Tennessee Smokies. July 26, 2011 Dallas Beeler roster status changed by Tennessee Smokies. June 4, 2011 RHP Dallas Beeler assigned to Tennessee Smokies from Peoria Chiefs. May 12, 2011 Dallas Beeler roster status changed by Peoria Chiefs. May 2, 2011 Peoria Chiefs placed RHP Dallas Beeler on the 7-day disabled list retroactive to April 28, 2011. April 4, 2011 RHP Dallas Beeler assigned to Peoria Chiefs from Boise Hawks. August 29, 2010 Dallas Beeler assigned to Boise Hawks from AZL Cubs. July 23, 2010 Dallas Beeler assigned to AZL Cubs from Chicago Cubs. July 22, 2010 Chicago Cubs signed RHP Dallas Beeler.